Check out the weather in Cabo as it is one of the most sought out destinations for those wanting to relax in the sun. 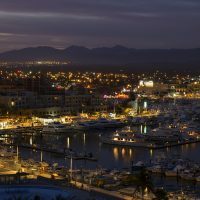 Los Cabos has some of the finest weather that you could ask for, because it is nearly guaranteed that the sun will be shining and the weather will be wonderful. Tourists, second homeowners and locals can expect warm temperatures during the daytime and in the evening you will have cool weather. Are you always on the lookout for a new delicacy to try? A taste to discover, a story to tell? 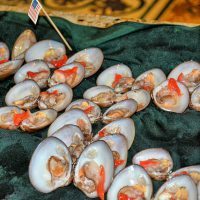 Well, the famous chocolate clams of Loreto are definitely worthy of your attention. The almejas chocolatas of the Pacific coastal region are meaty, tender and flavoursome. Harvested in particular in the Sea of Cortez where they can be found in sandy bottomed, gently sloping beaches and lagoons such as Timbabiche, Loreto and Candeleros. 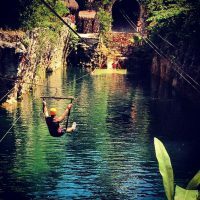 In Mexico, Cancun and the Riviera Maya provides travelers with an amazing, yet unique vacation, because of the outstanding attractions, fun activities, and a great time that you won’t get anywhere else, because vacationers will have a summer vibe year-round. There are so many things to see and do that it isn’t any wonder that the Cancun and the Riviera Maya area is one of the most sought out and visited regions in the entire world. Boarding an airplane and flying off to another country within a new time zone is exciting yet not as stress-free as you want it to be. Aside from the possible hassles that could add tensions into your flight, jet lag is one of the things travelers are anxious about. Once you are in your destination, dealing with insomnia and the overall effects of jet lag may hinder your enjoyment.